Are you looking for the next big promotional item? Well it's here and fits your face perfectly. Travel incognito, protect your secret identity, or make a fashion statement. 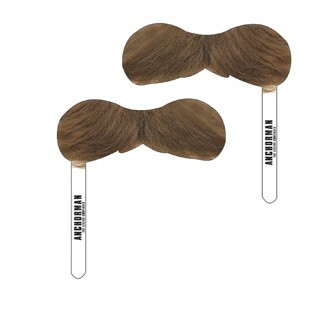 The possibilities are endless with Lion Circle's MUST HAVE MUSTACHE. Fun for any promotional event, party or when you need a quick disguise on the go. All the rage with no trimming or shaving required.